I don't want to pick favorites, but summer has always been my favorite season of the year. It's the perfect time to barbecue every weekend, eat ice cream to your heart's content, and sip all kinds of fruity cocktails while working on a poolside tan. 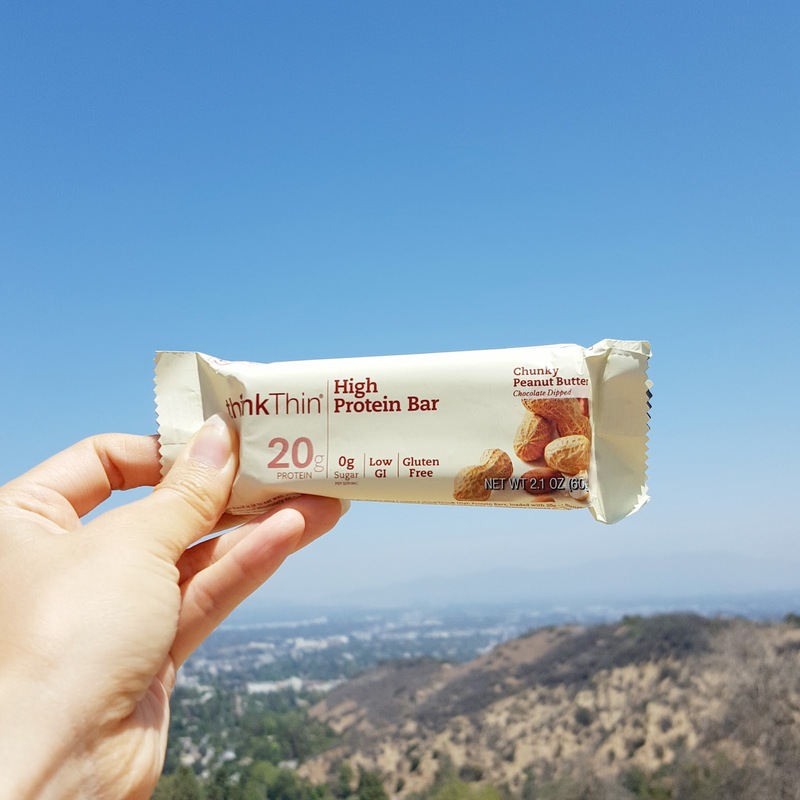 And as much as I love indulging in all those summer pastimes, they do come with a heavy caloric price, which is why I'm teaming up with thinkThin® to highlight three guilt-free summer activities that won't cost a calorie! 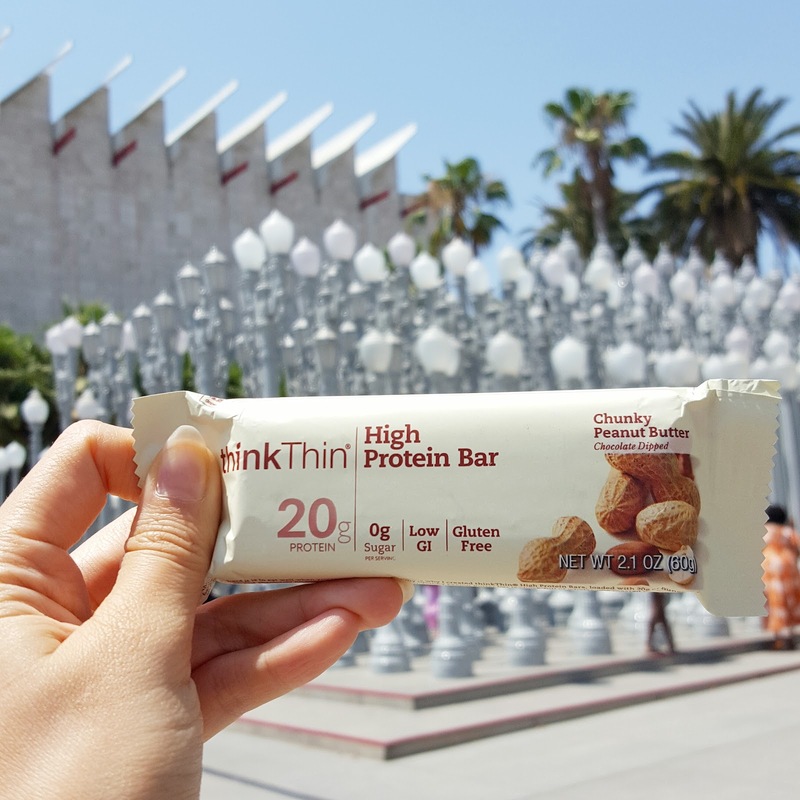 Just make sure to bring your thinkThin® High Protein Bars because you will need to fuel up. LA is filled with breathtaking trails for all fitness levels. Lately, M and I have been exploring Franklin Canyon, our neighborhood trail where the parking is easy and the roads are quiet. The panoramic view when you reach the top is absolutely breathtaking! 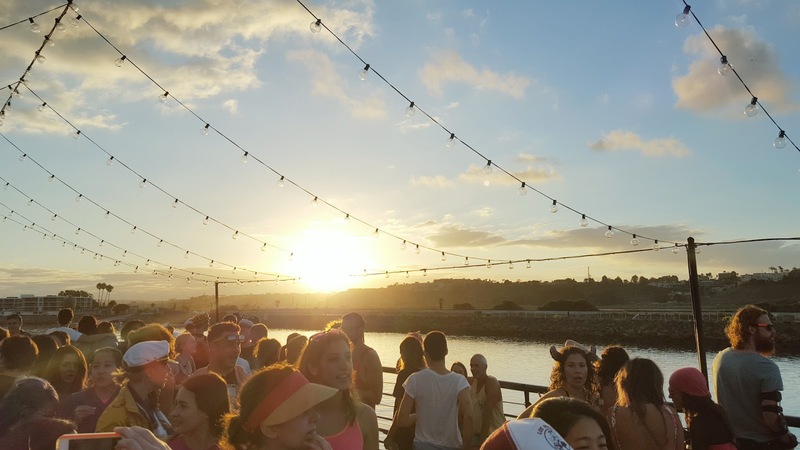 There's nothing better to energize an otherwise lazy summer morning than with a sunrise dance party on a boat fueled with good music, fresh juice, interesting costumes, and amazing vibes. I went to Daybreaker recently and had the most amazing time dancing and getting a great workout all before the clock strikes 6am! And, amazingly, the energy and endorphins carried me through the rest of the day. To beat the heat, soak in some culture, and get in exercise, I like to visit my local museums like the LACMA, the Getty, or the Broad. All three are near highly dense commercial areas, so it's fun to make it into a date night by visiting the museum first and then doing some shopping and ending the night with dinner at a restaurant nearby. It's pretty much my version of a perfect summer day!